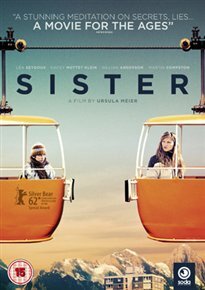 Ursula Meier directs and co-writes this mysterious French drama set in a Swiss ski resort. Every day, twelve-year-old Simon (Kacey Mottet Klein) catches the cable car up the mountain to an upmarket ski resort near his home in the Swiss Alps in order to steal food, money and equipment from the wealthy guests in order to support himself and his older sister Louise (Léa Seydoux). According to Simon, his parents are dead, and Louise does all she can to avoid the responsibilities of taking care of him. Tension and ambiguity build as the facts of Simon’s past and future become more and more uncertain.